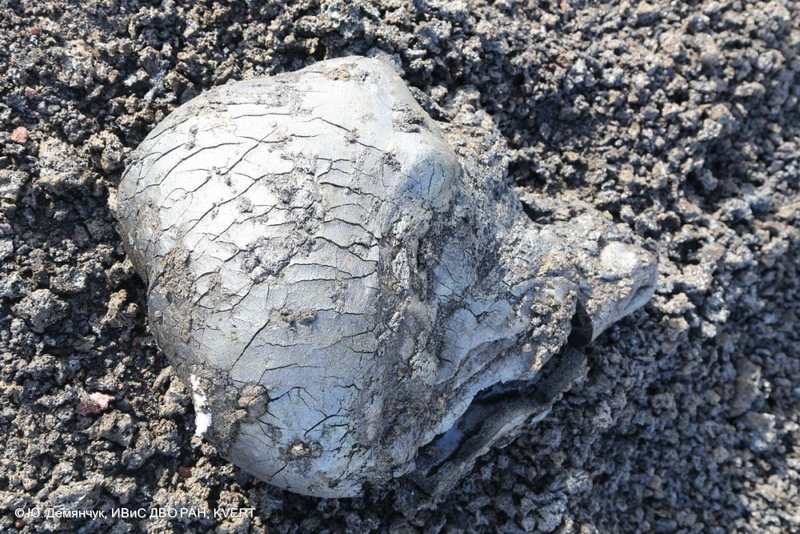 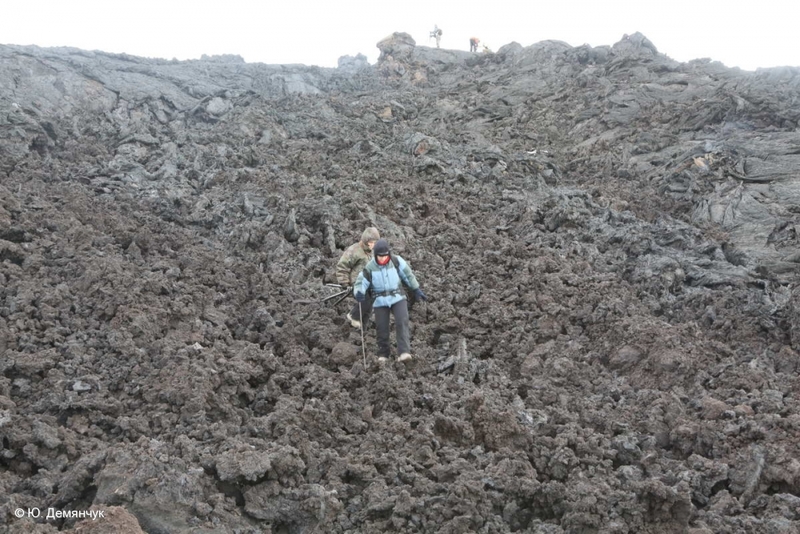 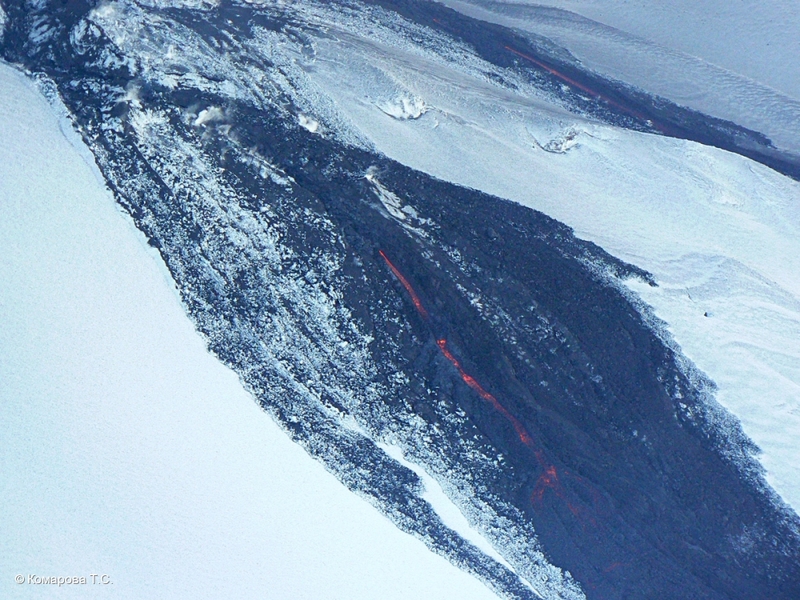 Effusion of lava to snow. 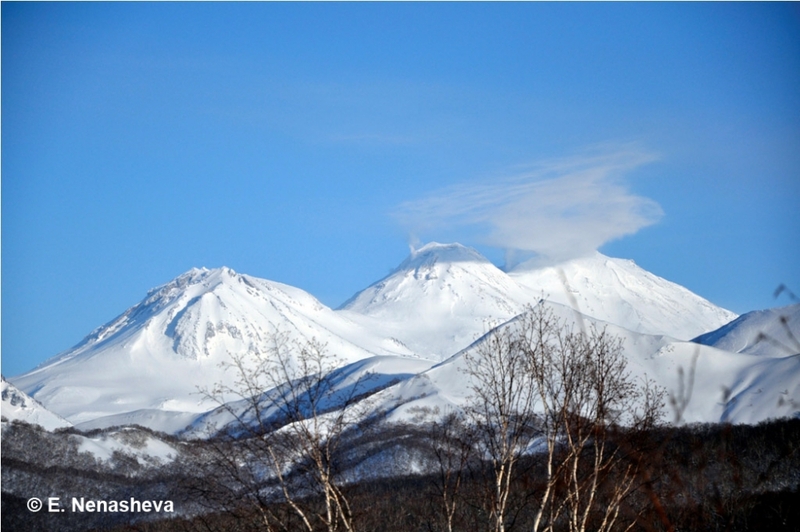 Ovalnaya and Ostraya Zimina on February 08, 2013. 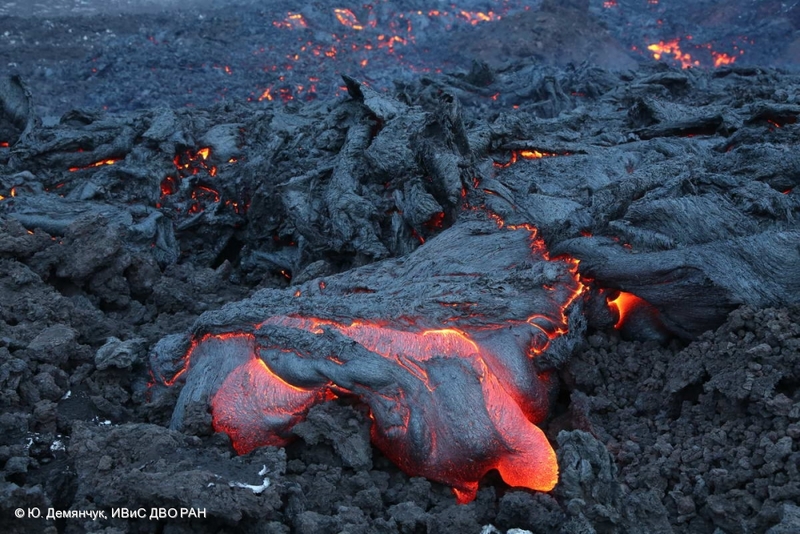 Lava fountain into the crater of cinder cone. 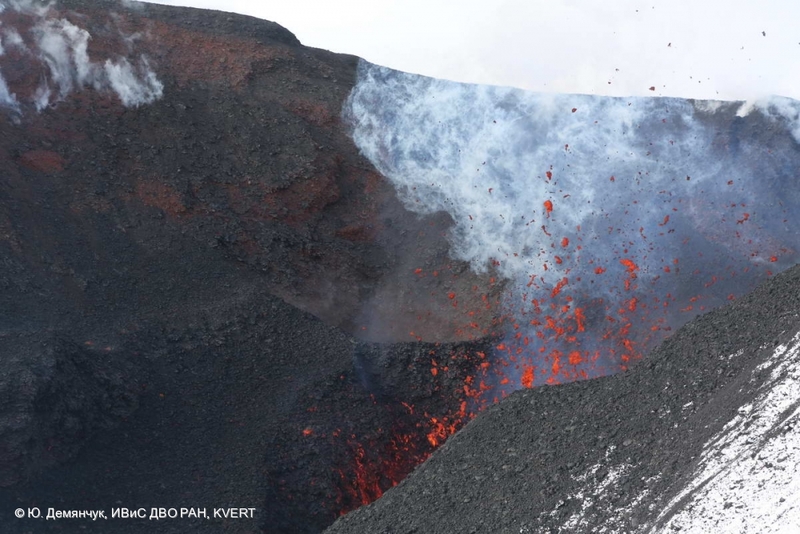 Lava fountain into the cinder cone. 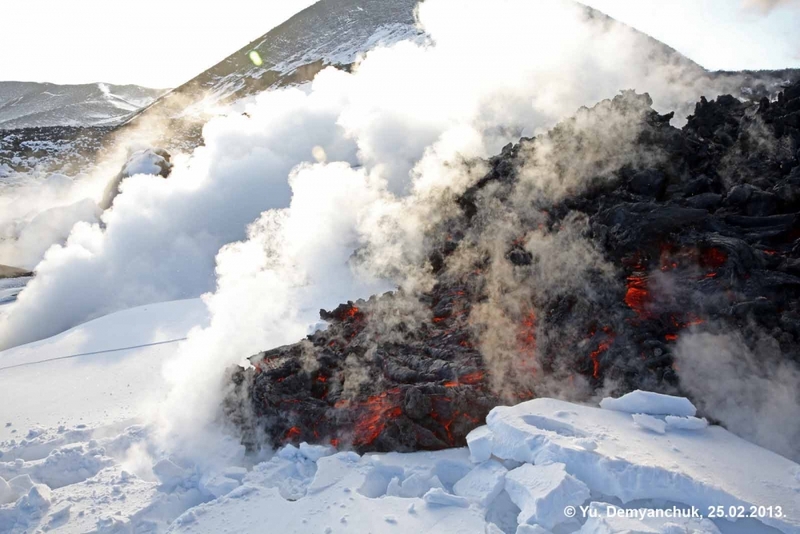 Active crater on January 24, 2013. 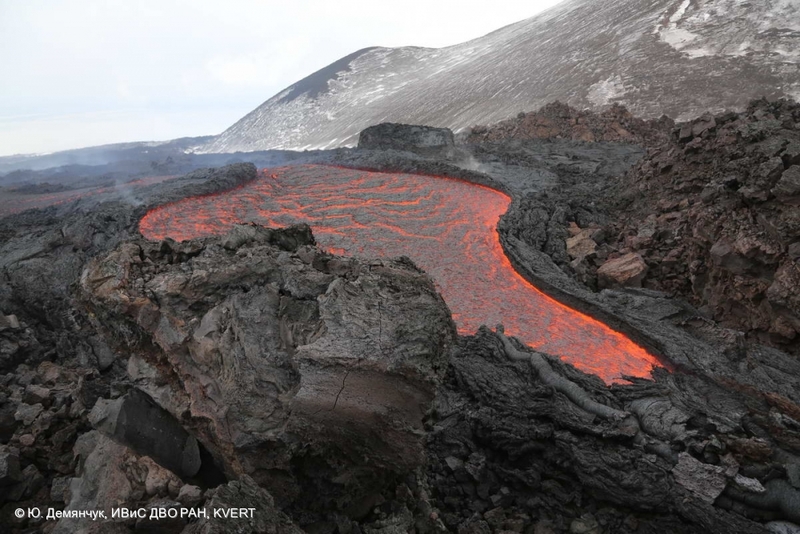 Lava fountain into the cinder cone crater. 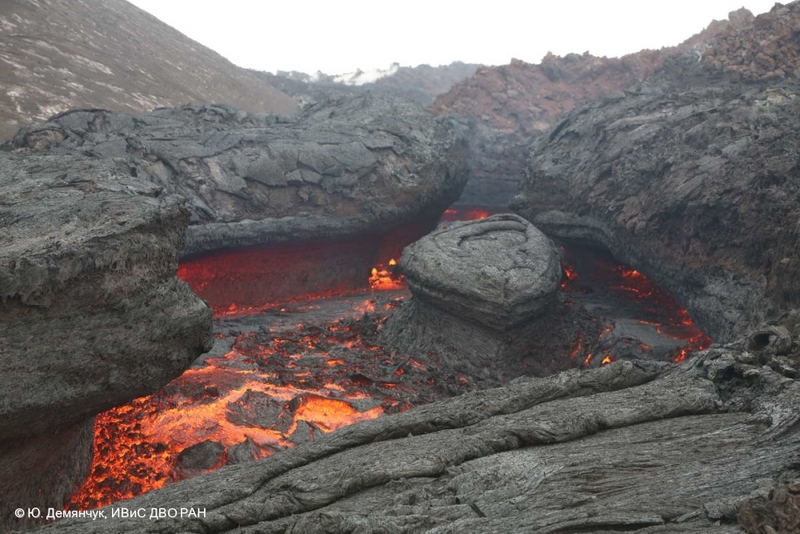 New lava flows on Tolbachinsky Dol. 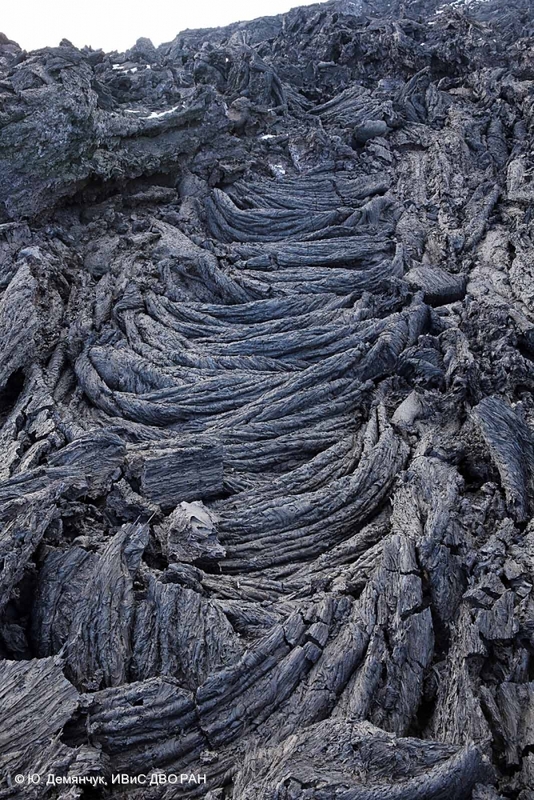 Lava Island in a Lava River. 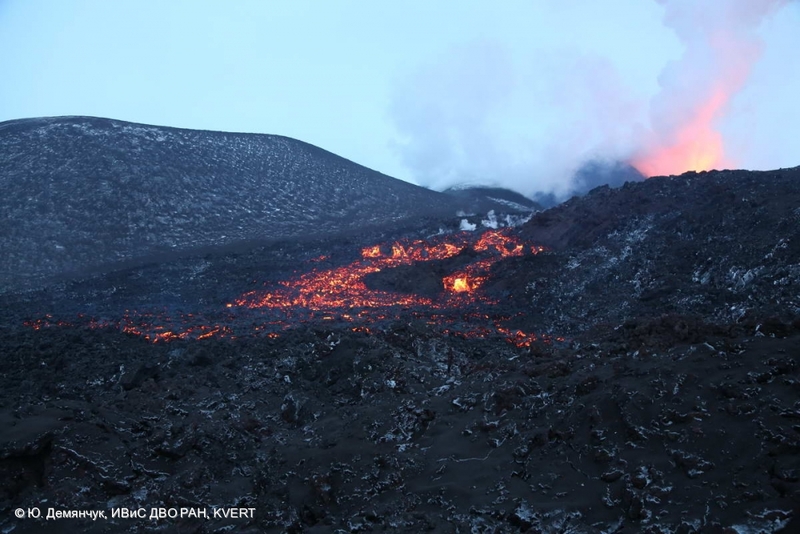 Eruption is continues: lava flows effuse from the southern fissure. 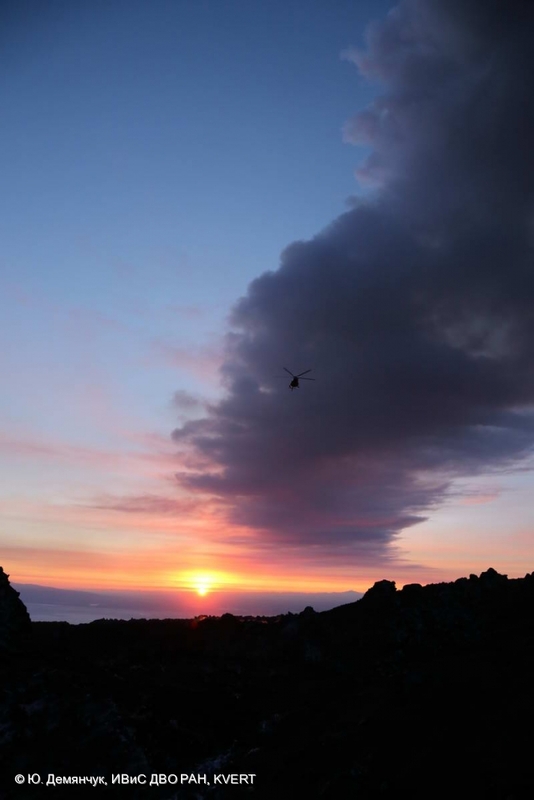 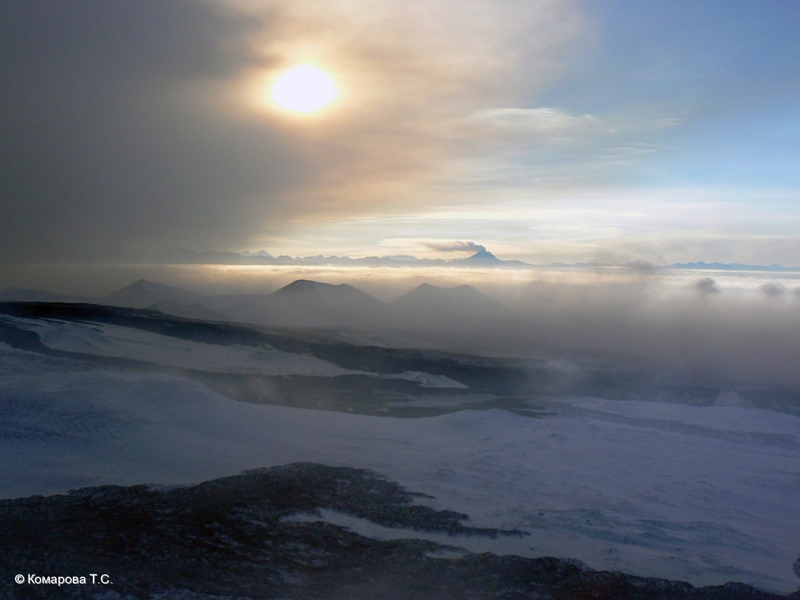 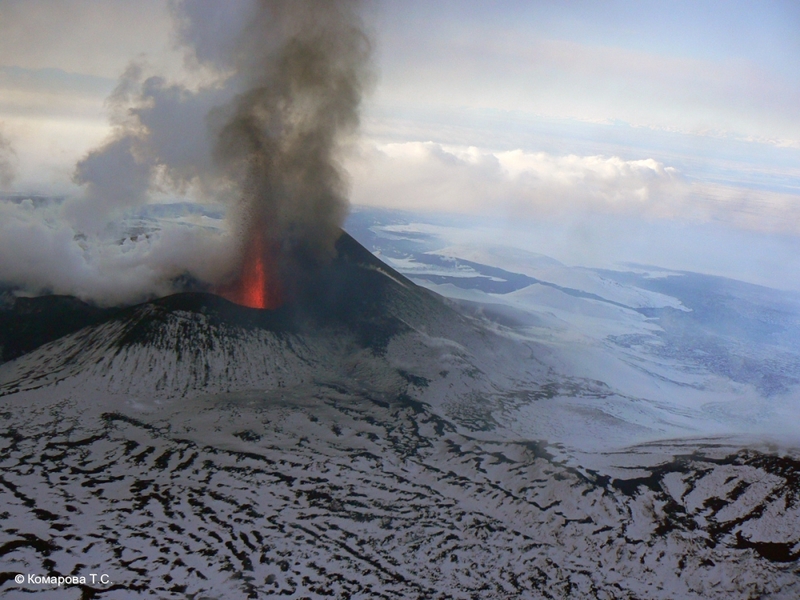 Fumarolic volcanic activity in the morning on January 2013. 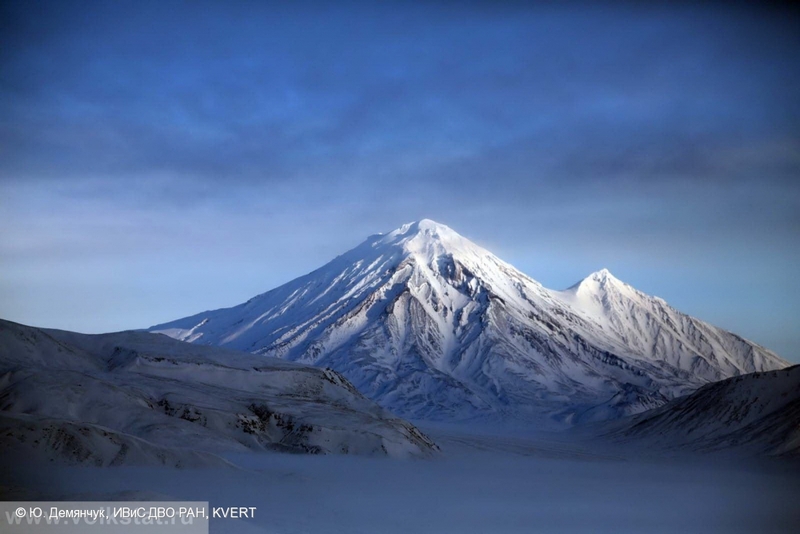 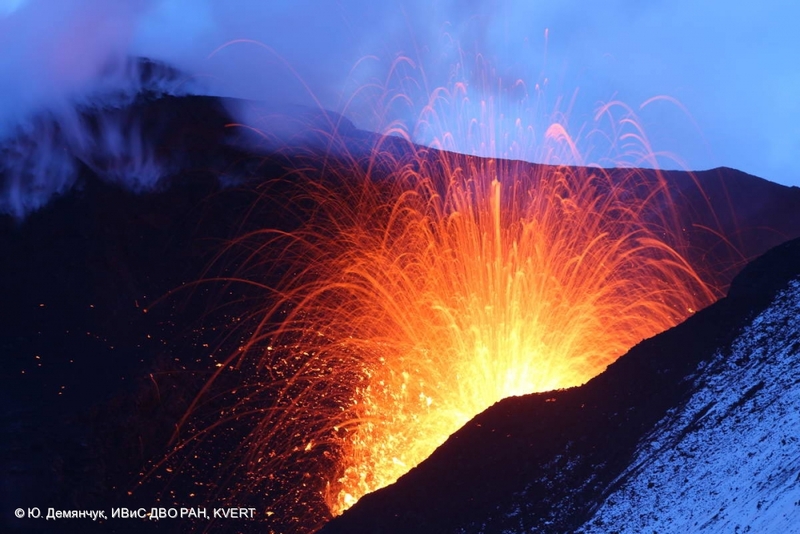 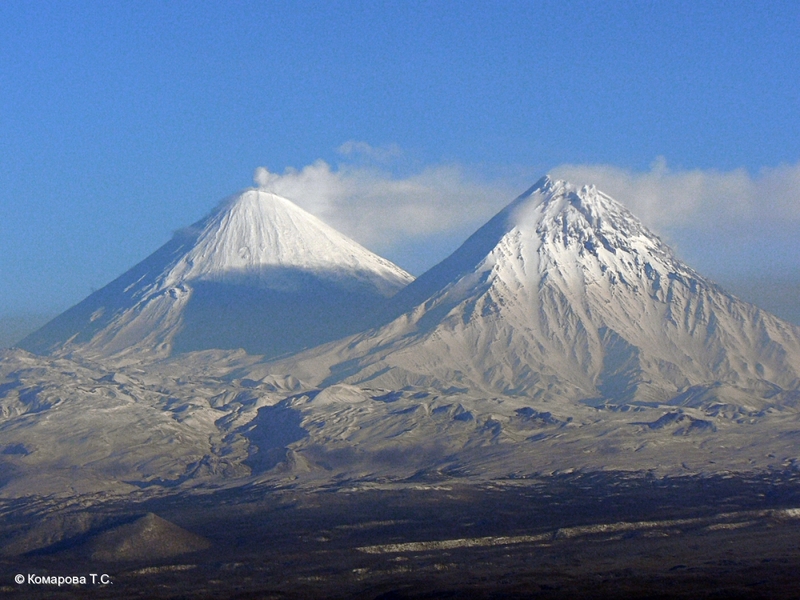 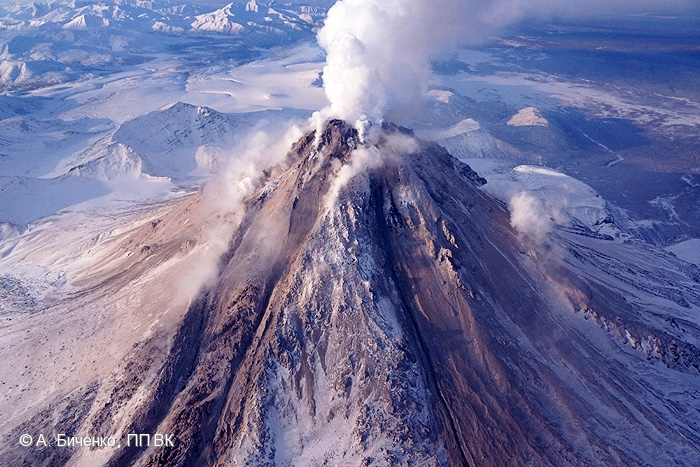 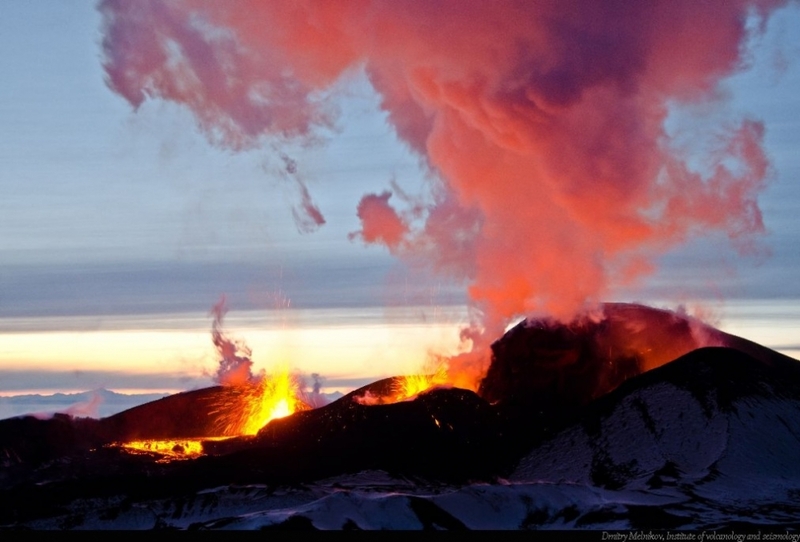 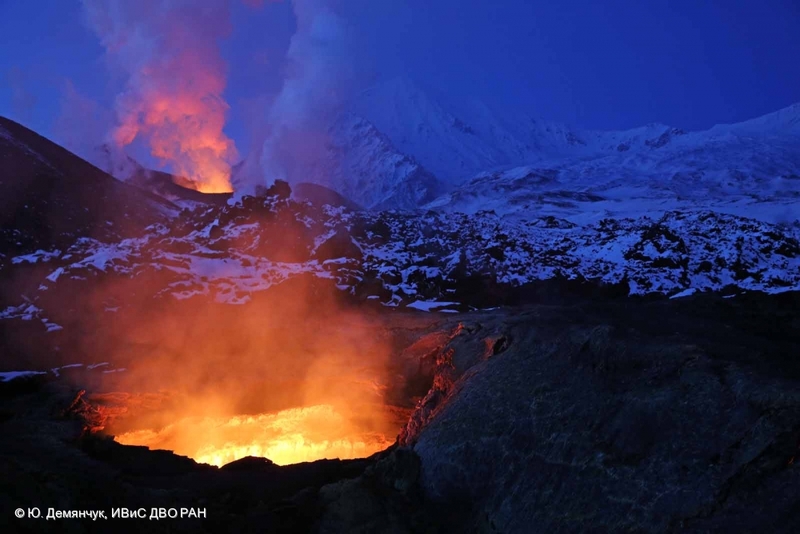 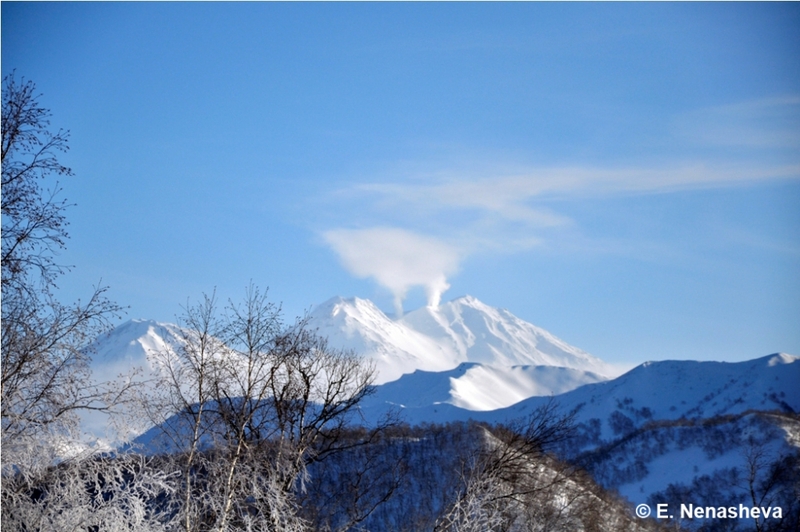 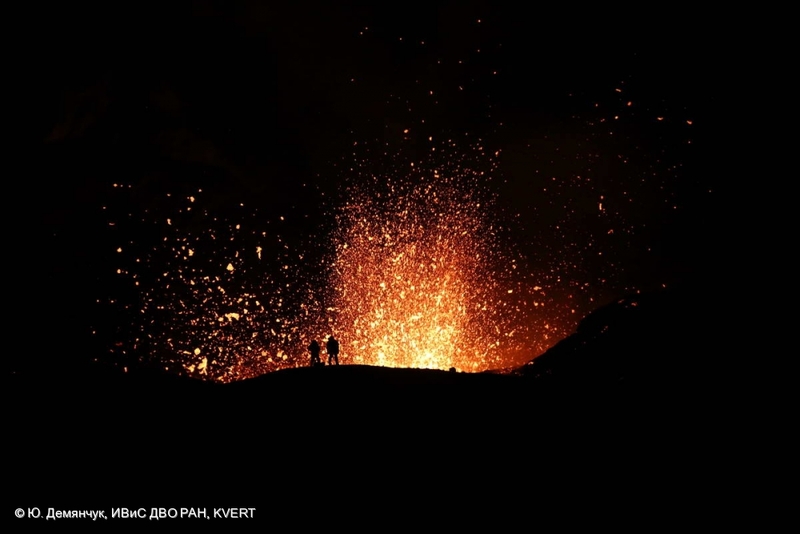 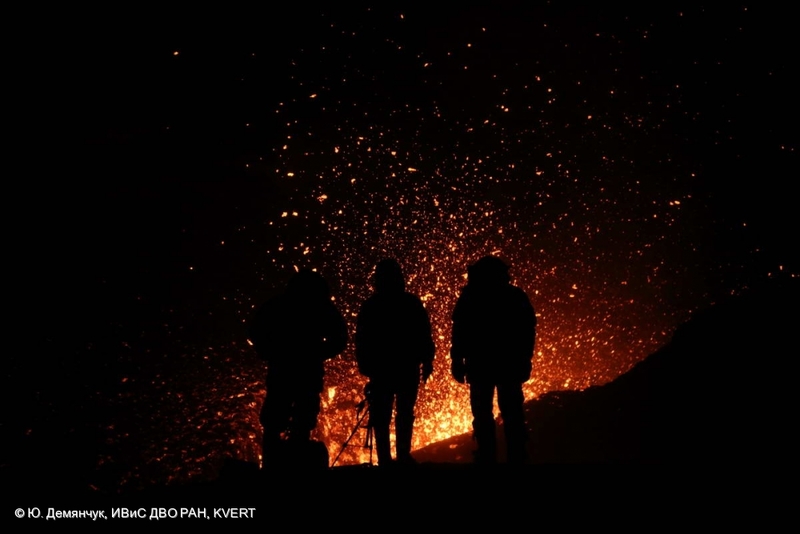 Nature park "Volcanoes of Kamchatka"
Fumarolic volcanic activity in the evening on January 2013. 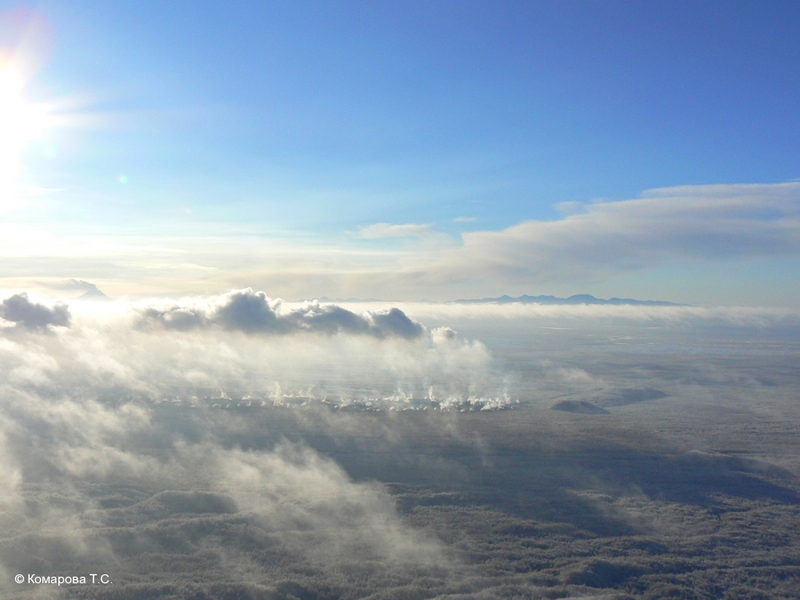 Gas-steam plume extended to the west.